This Pyramid is a new strategy out there, which we have especially designed for you. The traditional ways of doing SEO aren’t bad, but without a doubt, they are not enough. 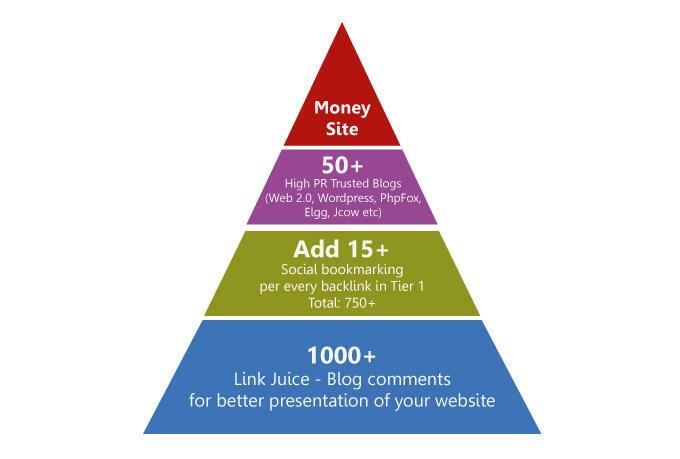 We'll create a Link Juice with 1000+ Blog comments for Tier 2 links. We'll provide you a full .xls report on the accomplished work! Feel free to ask any questions!